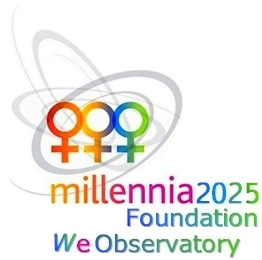 ​​The WeObservatory was launched at the special Women and eHealth session at the Med@Tel in Luxembourg in April 2013, based on the results of the WeHealth Study 2010 - 2012: 14 Key Findings and 6 Action Plans conducted at the Millennia2025 Foundation. Team partners and project leaders attending Medetel. The WeObservatory Selected Projects are receiving support from the Millennia2015 network to empower Nurses, Midwives and female patients to use ICTs and telemedicine services. The Intelligence MOOCs Commons for Women and eHealth of the WeObservatory (WeMOOCs) offers a selection of free Massive Online Courses (MOOCs) in English, French and Spanish.